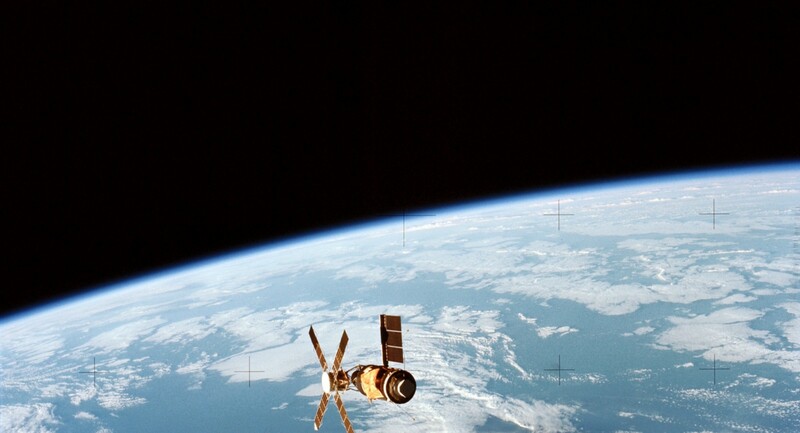 Skylab was — in my view — way more important for NASA than anything which came before or since. But I didn’t always think that. A few days later, on the evening of July 11, 1979 (Australian time), I went to bed terrified that Skylab would hit our house, and our house alone, in the suburbs of West Sydney. It was with much relief that I awoke the next morning to a fully intact house. 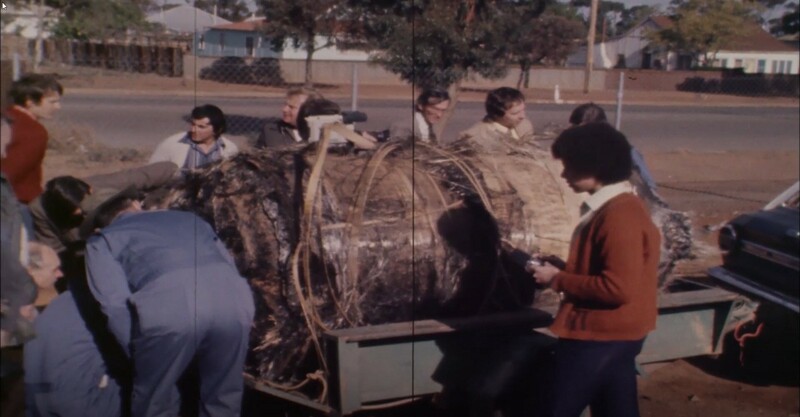 But that joy quickly turned to envy when I learned of a kid in Western Australia who had won $10,000 USD for being the first to bring in Skylab debris. How much Lego Space could I have bought with $10K?? And there began my assumption that Skylab was nothing but a failure. I learned how it was damaged upon launch, and how astronauts had to rescue it. A success? For my 10 year old mind, hardly. I acquired a series of telecasts made from Skylab, which were fortunately dated and labelled so as to ease my foray into assembling them chronologically. When I started to watch the footage, my jaw dropped. At around the same time, I was in a Waterstones bookshop in Kingston, England. Amidst all the Apollo books, one book stood alone: “Homesteading Space”, written by David Hitt, Joe Kerwin and Owen Garriott. Wanting a respite from reading about nothing but Apollo, I opted to purchase it. And so began my love affair with Skylab. Between the videos, “Homesteading Space”, and another book by David Shayler, “Skylab: America’s First Space Station” (which featured SL-4 Commander Jerry Carr’s autograph inside the front cover!!!) I began my quest to know all I could about Skylab. 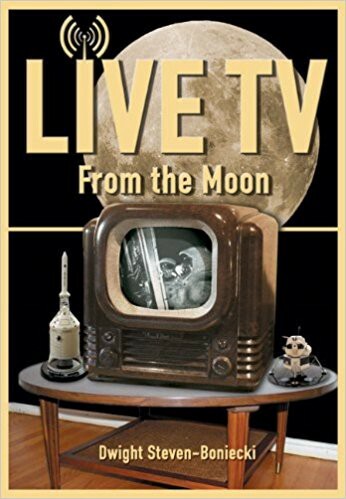 Following the success of “Live TV From the Moon”, Apogee Books CEO, Rob Godwin, gave me the greenlight to do the follow-up “Live TV From Orbit”, which detailed post-Apollo TV, and that included a big chunk of Skylab history. The more I delved, the more I wanted to know. I watched the videos. I read the books. I wrote more of my book. Then I repeated the cycle. Again, and again, and again. I learned about the daring rescue mission by the first crew, which managed to dislodge a jammed solar panel and deploy an emergency parasol to cool the station down after the micro-meteoroid shield had been ripped off the launch vehicle during launch. Had they not been successful, that would have been it for Skylab. I read of the rescue plans for the second crew after the Control Thruster (RCS System) problems that threatened to hinder their safe return to earth. I was impressed with the long duration missions, and I was humbled to learn that data from Skylab was still being used to plan ISS missions. Then I joined a group on Facebook, called Space Hipsters, and found other people who loved Skylab as well. At the same time I received the green light to compile the Skylab Mission Report series for Apogee books, and my knowledge of Skylab increased exponentially. Every anniversary I would post a snippet of Skylab mission footage to celebrate, until one day, someone suggested I turn all of that footage into a film about Skylab. I thought it was a great idea. 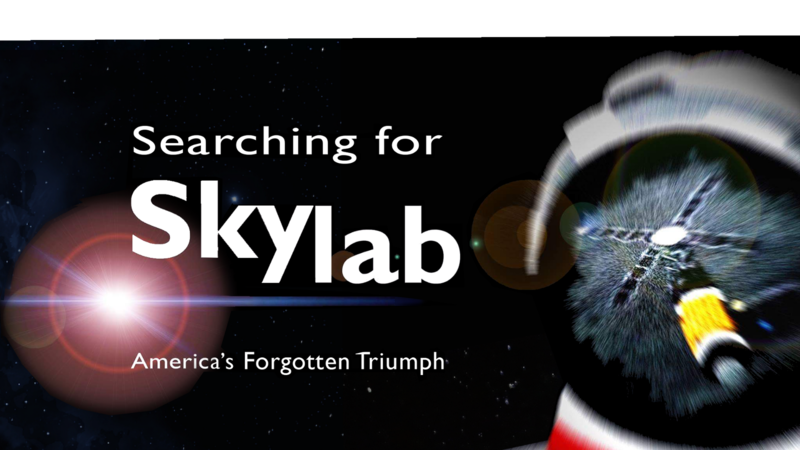 And so “Searching for Skylab” was born. Through 5 years of pre-production, research and preliminary outlines became my passion. I reached out to the Skylab astronauts and found a group of people more than willing to share their stories, thankful that someone had rediscovered the pioneering work they had done between 1973 and 1974. I travelled the world to get the film made. the feature-length film about Skylab, which looks for meaning in what Skylab actually brought humanity, as it seemed to have been forgotten in those 45 years. And it appeared that the Gods of Space Travel were looking down on Searching for Skylab that day. Right before the film started, I was told that the ISS would fly directly over Huntsville. You cannot plan movie premieres any more spectacularly than that! In future posts, I’ll go into more detail as to why I believe Skylab was so important to NASA. A lot of it is in the film. But a lot of it still needs to be told, lest we forget. Just like all the stories from Skylab. Originally published at searchingforskylab.com on March 6, 2019.